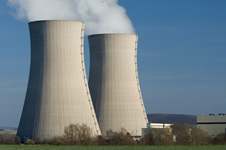 With over 25 years of experience, Consolidated Power Supply has been providing products, service and support to the nuclear power generation industry. Our deep understanding of the unique challenges that the nuclear industry faces is our specialty. Whether your need is for certified materials, professional services or 24 x 7 support, our qualified team is ready. Recent industry trends towards new licensing of nuclear facilities has led to a renaissance in nuclear construction. Consolidated Power Supply is currently providing construction materials and services to three nuclear construction sites. Our company is committed to the nuclear industry and is continuing to invest in its future. 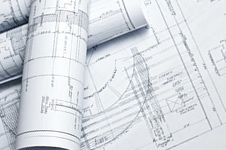 Our focus on process improvement has led to our introduction of new products and services specifically designed to help remove costs and reduce risks during the construction process. 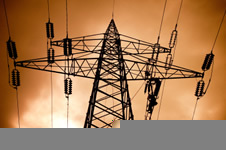 Consolidated Power Supply is committed to being a long-term partner. Our large inventory of stock allows Consolidated Power Supply to quickly provide materials to commercial industries. Our parent company, Consolidated Pipe & Supply is dedicated to providing materials and services to a wide variety of industries, including municipal, utilities, oil & gas, telecommunications, and other industries. Our extensive supply network can provide for all your regular and specialty needs, which are augmented with services such as material tracking, vendor managed inventory, education and support.